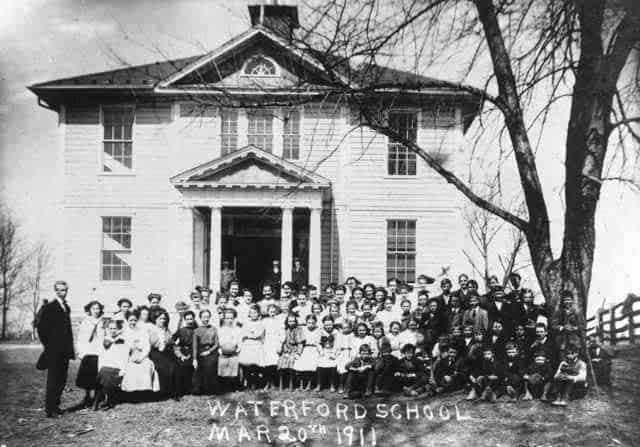 The history of education in Waterford did not begin with the present school system. 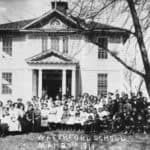 When the Commonwealth of Virginia established free schools in 1820, the children of Waterford had benefited from private schools for more than half a century. 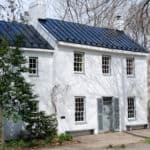 Waterford was basically a Quaker community and The Society of Friends was always conscious of the value of a good education for the children of its members. In providing for their own they did not exclude those of other faiths from their schools. Today there stand in Waterford buildings that have served the community as places of education, both public and private. Although documentation in some cases is meager we will attempt to construct a brief history of each school from known facts and local legend. The brick structure standing to the east of the Meeting House was built in 1805-06. 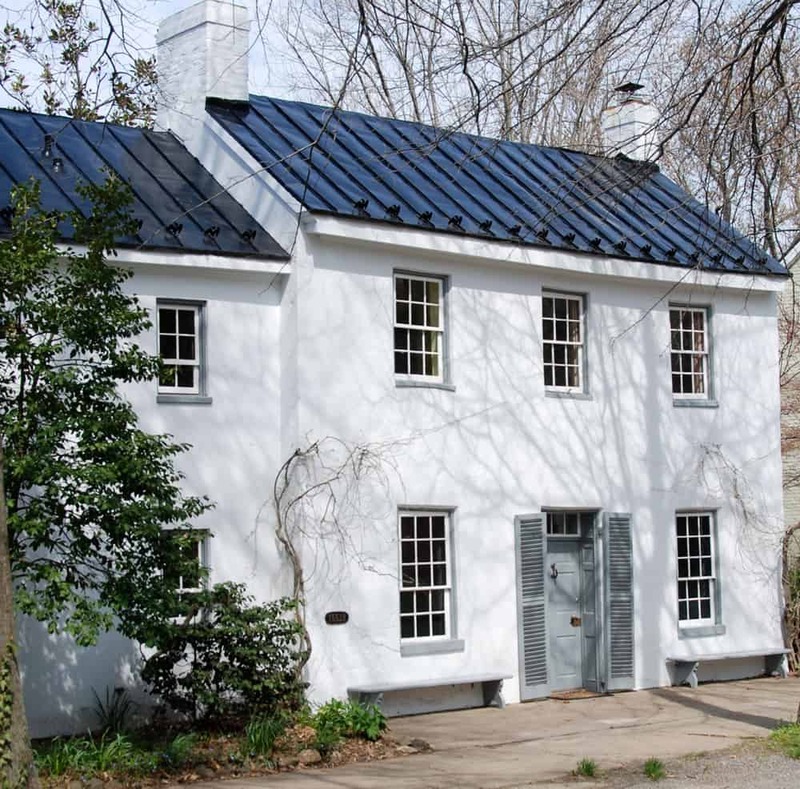 John Williams (1771-1840), prominent Quaker and local business man, disbursed the funds and had general supervision of the construction. Jacob Divine, a local stone and brick mason, was the builder. Joseph Hough was a teacher in this school at one period of time. Hough later left Waterford to settle in Newton, Iowa, where his descendent, Emerson Hough, became famous as a Western novelist and as author of The Covered Wagon, North of 36, and other novels adapted to early motion pictures. 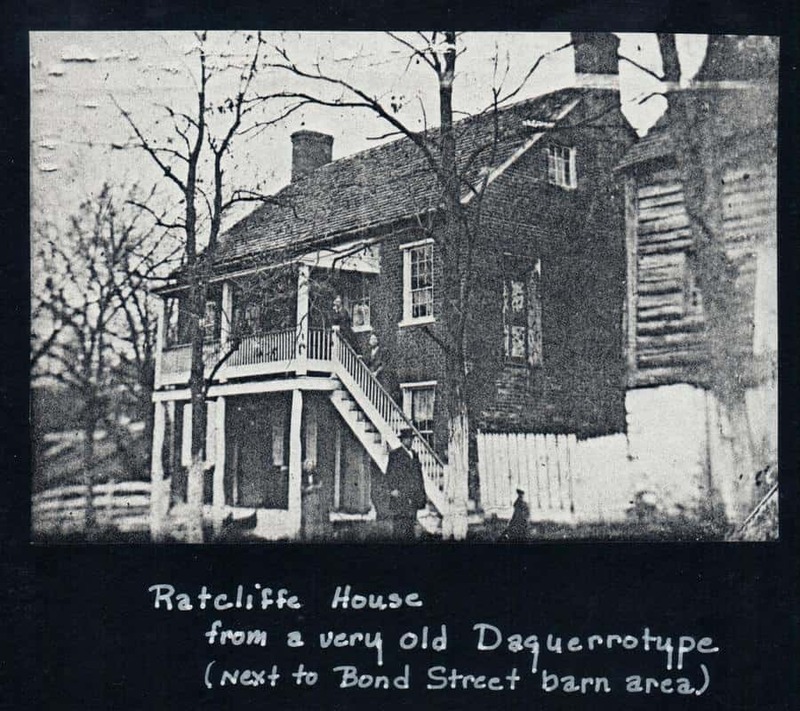 The Ratcliffe House is on the north side of Main Street near the Mill (40138 Main Street). As in Hannah Worley's school, this building shows two front doors to accommodate the school. This was operating in the late 1840's and early 50's. 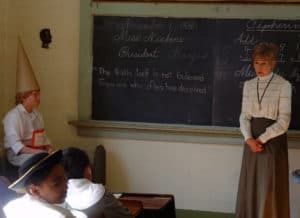 Although little is known of this school, it is mentioned in the poem "Early Memories of Waterford" written by the octogenarian Mrs. Mary Dutton (Miss Mollie) Steer in 1928. "Dear cousin mary kept the school patient and kind was she and all the little tots in town she taught their a.b.c.'s. A.B.C.'S." 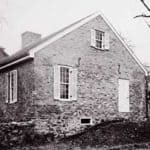 The one-room Second Street School (15611 Second Street) was built in 1867 to serve Waterford's black community, and all of Waterford's black children were educated here until 1957. It was also used as a church. There is evidence that a Freedman's Bureau School was operating in 1868 for the Black people of the community. The top enrollment was 50, and the average attendance was 30. Government "Red Tape" has not changed since Miss Sarah A. Steer struggled with the monthly reports. 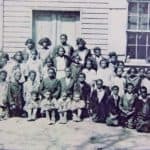 One question asked was, "Ownership of Building;" the answer was "Owned by the Freedmen of the Waterford Community." This is the same building still standing today at the northwest corner of Janney and Second Streets. In 1866, Reuben Schooley sold to "The Colored People of Waterford and vicinity" a lot of land for $75.00. This deed was entered to record. This transferred the same lot from Reuben E. Schooley and Rachael L., his wife, to Johnathan Cannady, Mathew Harvey, Alfred Cravens, Henson Young and Daniel Webster Minor. The school was at the corner of Rts. 662 and 704. Quaker Elisha Walker, son of James Walker the owner of Talbot Farm, operated a private school in this building in the early 1870's. The brick building at the northeast corner of Janney and Second Streets (15612 Second Street ) housed a private school for the many Williams children and a few other friends. Its period of operation was the decade from 1865-1875. 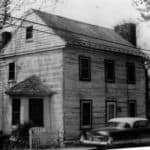 The building had been built as a warehouse by John Williams who William Williams School operated a large store in Waterford Family members believe that it was originally built about 1814, and that extensive renovation was done to convert it to school purposes. Huntley School: The frame building in the yard at Huntley Farm housed a small private school for young ladies around the turn of the century. Robert Walker, another son of James Walker of "Talbot," established the school for the education of his daughter and other young ladies of the community. Possibly the enrollment never exceeded fifteen students. 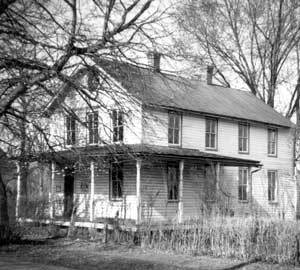 In 1910 in the yard at Huntley Farm (15578 High Street), a small private Quaker school was housed for young ladies. It was a small two-room frame schoolhouse and can still be seen as the brown building clad in "fish-scale" shingles. The residence (15603 Second Street) to the right of the Second Street School was built originally as a hall for Waterford's African-American Lodge No, 2631 of the Grand United Order of Odd Fellows, a fraternal organization. It was erected in 1893 without interior partitions on either floor. The entry door opened on the street, rather than the side as it now does. By 1899 the lodge faced financial difficulties: Quakers Martha and Ann Sidwell, paid the debt and assumed ownership. 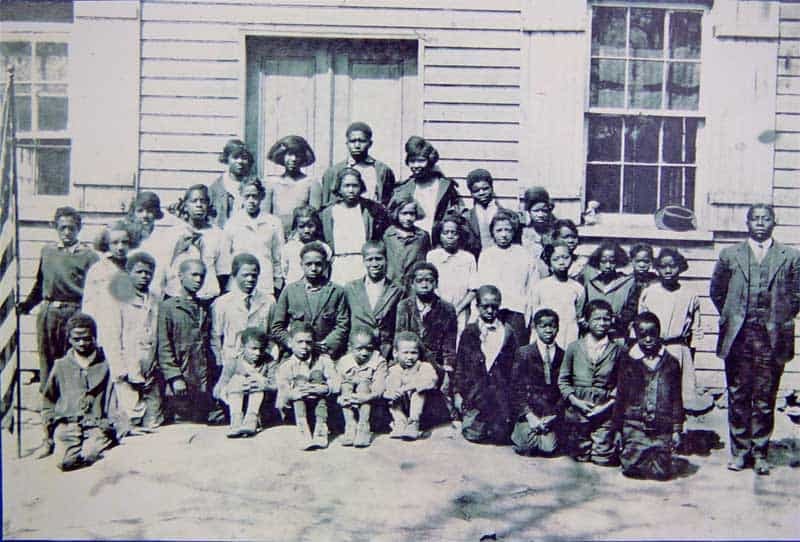 In 1904 the building was serving as an "industrial" school for black students. Children from the school next door learned vocational skills such as housekeeping from 1909-1912. The Sidwell sisters themselves probably did the teaching. 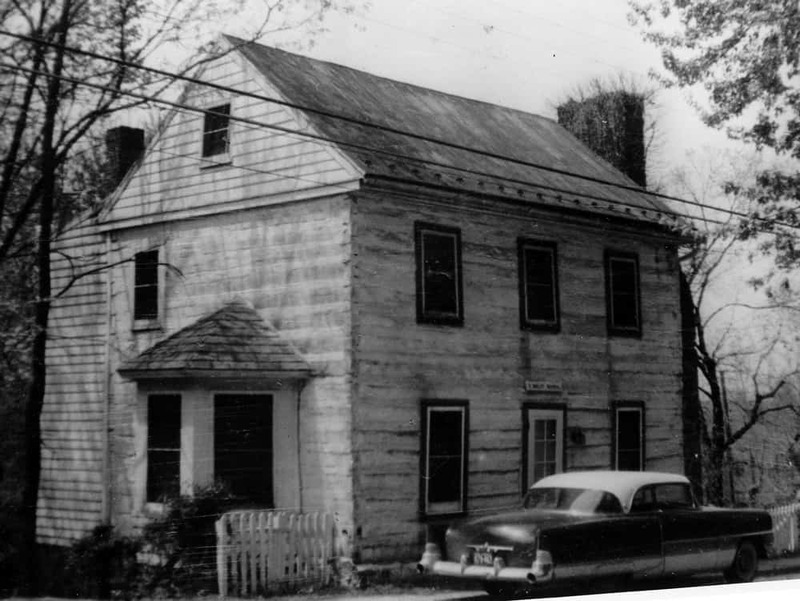 The School (40145 Main Street) operated in the early 1940's under the Calvert System by Edward M. Chamberlin, Jr., Headmaster. 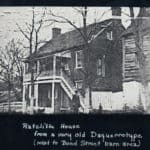 This log building on the south side of Main Street had been used 1802-1827 as part of Patrick McGavick's weaving operation. 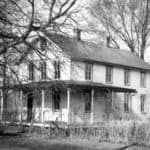 In the 1950's and '60s, Mrs. Heath MacCallum operated a boarding school for boys at her home, Catoctin Creek (15533 Second Street), a restored stuccoed house on Second Street. School (40145 Main Street) operated in the early 1940's under the Calvert System by Edward M. Chamberlin, Jr. This school on Loyalty Road was built in 1965 and originally offered seven grades. Currently it is used for K-5. From the Waterford Foundation Booklet of 1981.